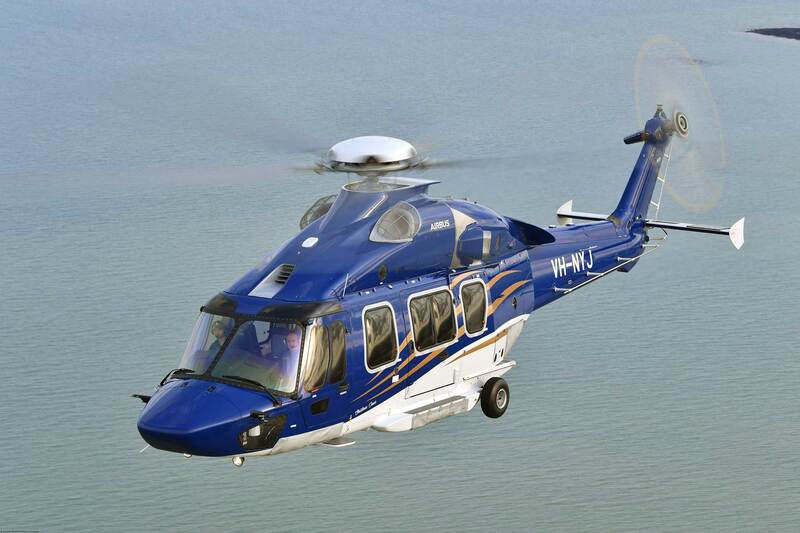 A new version of the H175 will have room for 18 passengers, two more than the current model. Airbus Helicopters (Booth N1915) is planning to bring an 18-passenger version of its H175 helicopter to market by the end of 2018. The new cabin, which provides two additional passenger seats over the current base version, will be similar to that of the H225 Super Puma. "The objective is to strengthen the passenger transport market for the oil industry or services, even if these opportunities are currently difficult," said Marc Allongue, head of the H175 program at Airbus Helicopters. Positioned in the "super medium" market segment with a mtow of 7.8 tonnes (17,500 pounds), the H175 was launched in 2006 in a 50-50 partnership with Chinese manufacturer AVIC to target offshore, VIP and utilities markets. The Airbus Helicopters version is equipped with two Pratt & Whitney PT6C-67E engines, while the Chinese version (Z15) is equipped with a derivative of the Ardiden turbine from Safran Helicopter Engines. The main competitors of the Franco-Chinese helicopter are the Leonardo AW139 and AW189 models. The order book of the H175 has topped 100 helicopters, according to Allongue. The oil-and-gas version represents the majority of orders. Airbus Helicopters has already delivered 20 H175s since the helicopter entered service in December 2014, including 17 to oil and gas customers such as the Dutch NHV (which already operates H225s and H155s), Canadian CHC Helicopter, and British Babcock. "From 2015, we had a helicopter availability rate delivered to NHV of 85 percent," he said. This level of availability is also found among other customers, according to Allongue. The fleet in service totals approximately 20,000 flight hours. In addition, three VIP helicopters were delivered to private customers. The SAR version will start deliveries this year with three helicopters for the Government Flying Service department in Hong Kong. Shipments will rise slightly this year with 14 to 15 helicopters (against 11 deliveries in 2017), and the same number in 2019. "We plan to produce about 30 H175 per year by 2020," said Allongue. According to the contract signed in 2006 with the Chinese, 1,000 helicopters are to be produced, including 600 H175 and 400 Z15. To ensure the ramp-up of production, the final assembly line of the H175 in Marignane, France, was reorganized into a flow-line in 2016. The channel has six stations, an assembly process in which the helicopter advances step by step. This more "lean" organization makes it possible to produce helicopters more quickly and at lower cost, according to Allongue. The manufacturer has set a goal to halve the time it takes to assemble an H175, from 18 weeks currently to nine weeks by 2020. The total manufacturing cycle must go from 52 weeks to 15 weeks. Airbus Helicopters hopes to reduce its costs by 20 percent. The manufacturer has sent about 20 employees to China's Harbin Aircraft Industry Group (HAI), a subsidiary of Avic, to help the Chinese ramp-up. HAIG manufactures the main fuselage, main rotor, fuel system, flight controls, and landing gear. Airbus Helicopters is responsible for main gearbox, tail rotor, Helionix avionics, electrical and hydraulic systems. The structure of the H175 remained in metal because HAIG did not have the level of maturity sufficient to manufacture a fuselage made of composite materials.